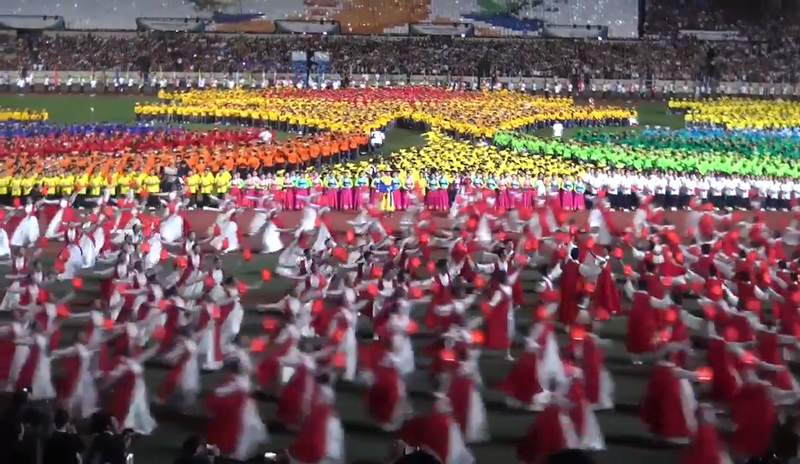 Today, many thousands of Korean capital Seoul Jamsil Sports Complex, religions Union peace summit held at the official opening ceremony. between advocates of peace, the time has come for a new culture,"
Said his new heavenly culture founder, organizer of the event, Peace maker Man Hee Lee of HWPL. He urged those present and in the world stapvel` saying that the ongoing wars and conflicts of interest are the only third party that suffers from conflicting sides, and that peace is the most valuable thing now. According to him, the need to create an international law that prohibits war and restore peace. "To achieve this, the youth need to be very active. Religious leaders must understand that there is only one Creator, for the sake of religion, murder or subordination of other nations, contrary to religion. Religions are in decline, it is time for a new heavenly culture based on mutual understanding and respect. " Speaking of Russia's former deputy Rustkoye, Chief Mufti of Egypt, Cardinal Gaudentsio Rosalese, Rabbi Simeon Bogiche American Orthodox Church, the religious leader of the Sikhs and others. The HWPL members and guest list was former PM. The event ended with Arirang, a Korean folk songs and dances. Tomorrow is going to be dedicated to the achievement of peace talks and peace agreement. Former Vice quoted Putin as saying: "When we ask God to bless us, we must remember that we are created in His image and likeness ."